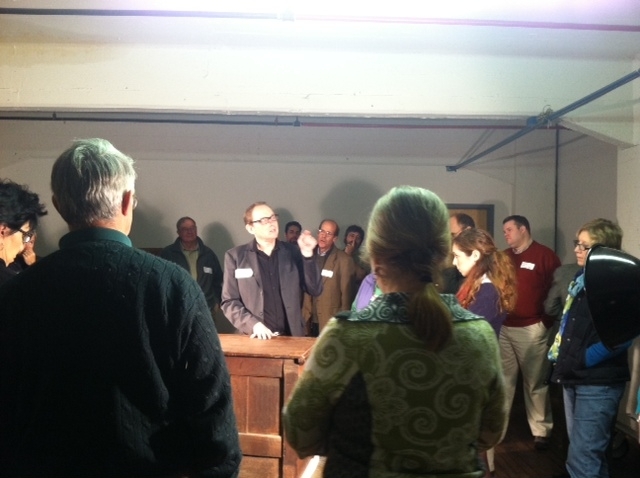 Thirty participants recently visited Historic New England’s collections facility in Haverhill, Massachusetts, for an Introduction to Furniture Workshop. As part of the workshop, John Childs, Historic New England’s former conservator, discussed how to distinguish between hand and power tool marks on furniture. After Senior Curator Nancy Carlisle presented talks on stylistic differences in furniture making, visitors could tell the difference between Queen Anne and Chippendale chairs and between Empire and Federal case pieces. Each visitor had the opportunity to closely examine objects selected from the collection for this workshop, and took a guided tour of the furniture and decorative arts storage spaces in the facility. Throughout the year, Historic New England offers workshops, lectures, and other programs that offer a close look at our extensive collection of New England art and antiques. Check the Events Calendar for more information.